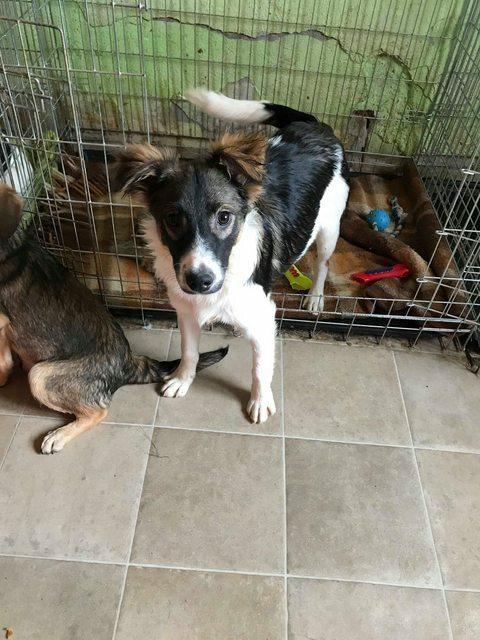 Dave is a 5 month old male Cross-Breed. Dave is a happy, playful and friendly puppy. 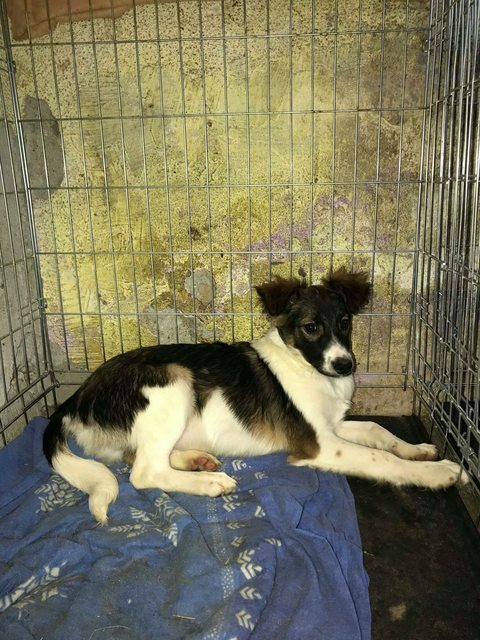 He is 5 months old and ready to travel from his private shelter in Romania to the UK once he has a home. Dave is a small-medium sized mixed breed. We don’t know for definite what Dave’s final size will be but it’s been estimated he will be 12kg maximum. Dave loves to play with his brother and sister and gets on well with the others pups and dogs he is living with. Tara and Frank are waiting for homes too! 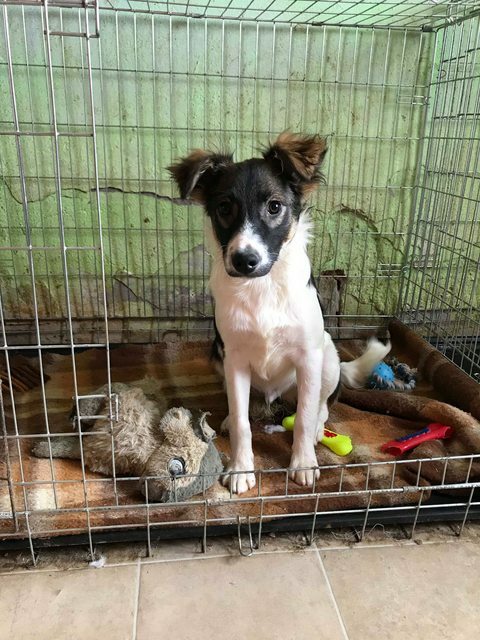 As with all puppies, Dave will need a lot of socialisation with as many adults, children, dogs (puppies and adults), and other animals as possible. He needs to become used to a wide range of events, environments and situations to ensure she grows up to be emotionally well-adjusted and happy in the company of people and other animals. As Dave is a puppy, with careful introductions he will most likely be okay with cats and children. Like all puppies Dave will need to be lead trained and house trained, and this will take up a lot of time, so we are looking for someone who is home most of the day. Dave was born in a kill shelter, and sponsored and saved by the public and taken to our rescuers in the last few weeks, along with his siblings. Dave is too young to be neutered, but this needs to be done as part of our adoption contract. He is now fully vaccinated and chipped. Homecheck and adoption fees apply. If you think you are the right home for this lovely puppy, please get in touch.